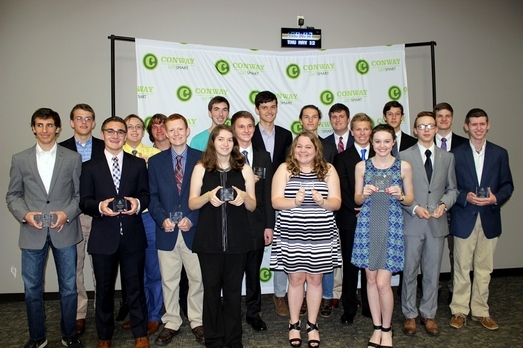 Academic Signing Day, presented by Acxiom Corporation, highlights the academic success of Conway's high school seniors. If you graduate this year and meet the following qualifications, you are eligible to apply! ​Applicants will be notified in early April if they have been selected to participate in Academic Signing Day. Contact Therese Williams, Director of Events, for additional information on Academic Signing Day.